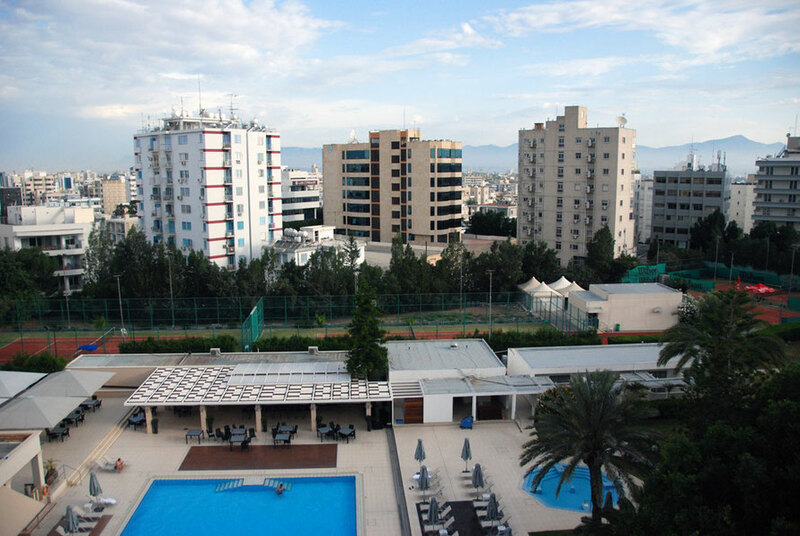 Panorama of modern Nicosia from the Nicosia Hilton, looking north to the Kyrenian Mountains. 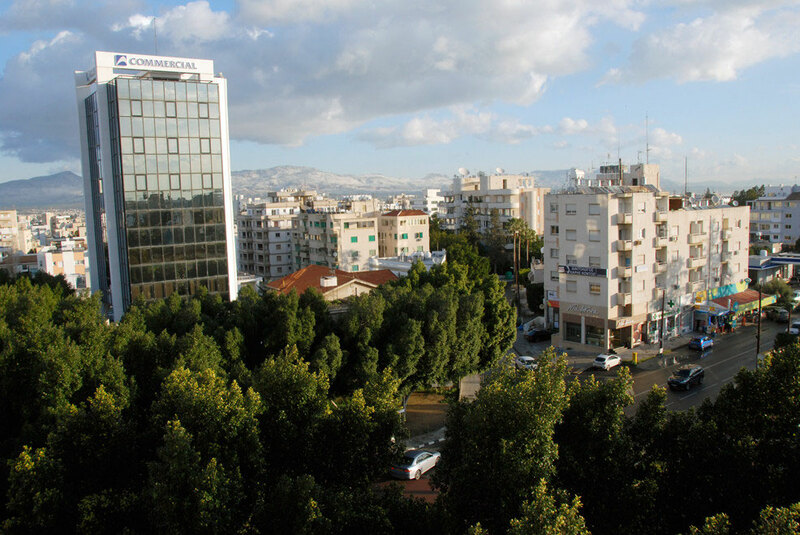 Nicosia panorama to the North East from the Nicosia Hilton. 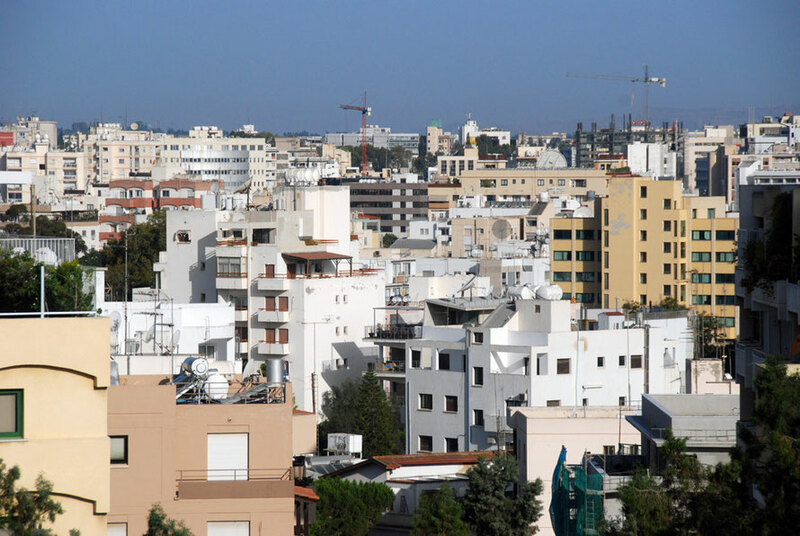 Contemporary Nicosia (2012) with cranes. 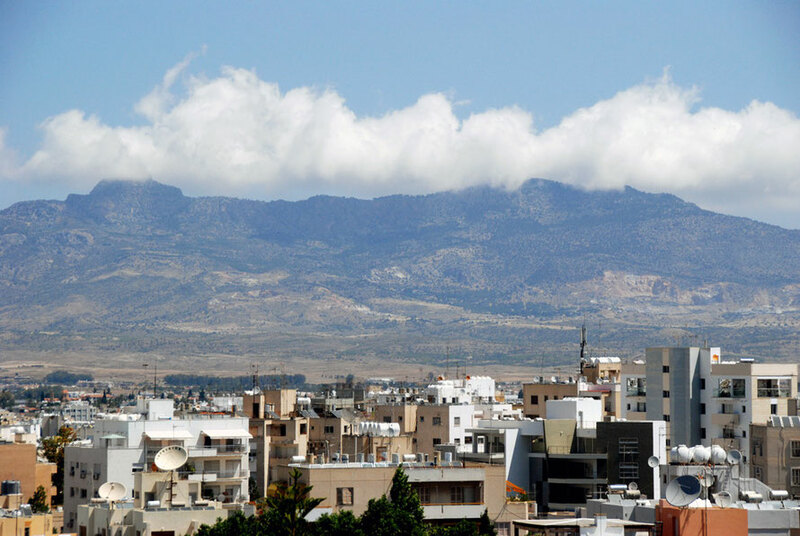 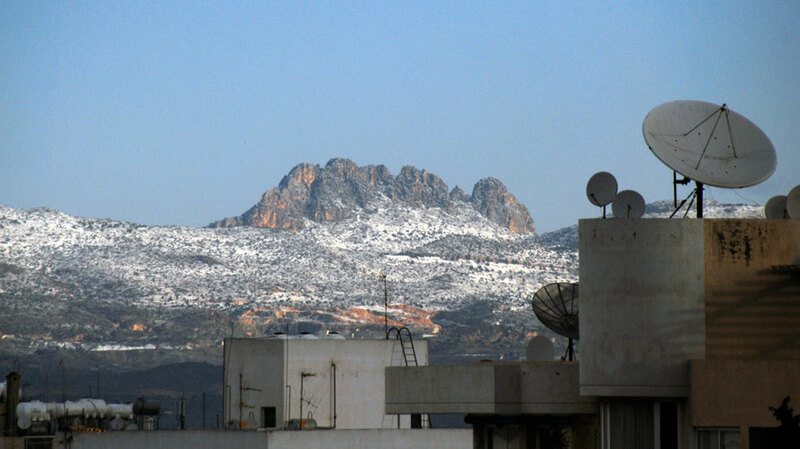 Forbidden hills: the Kyrenian Mountains beyond the reach of south Nicosia residents behind the Green Line on the divided island. 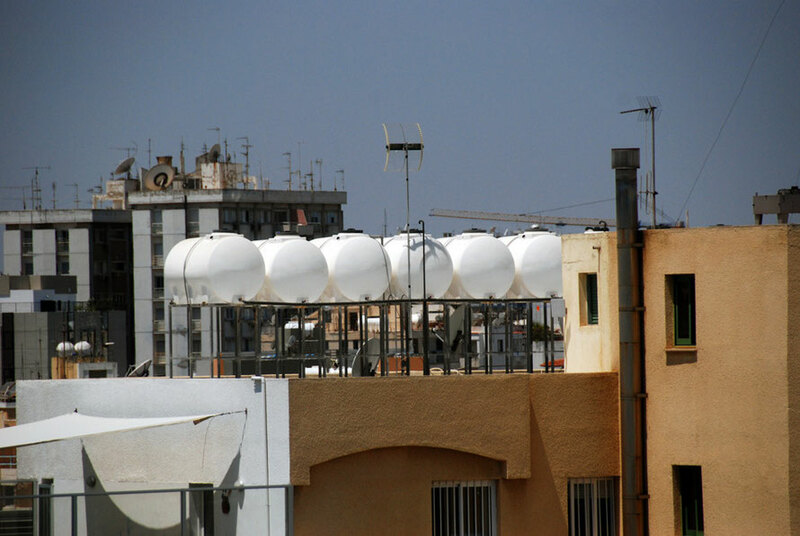 Water tanks and rooftops, Nicosia. 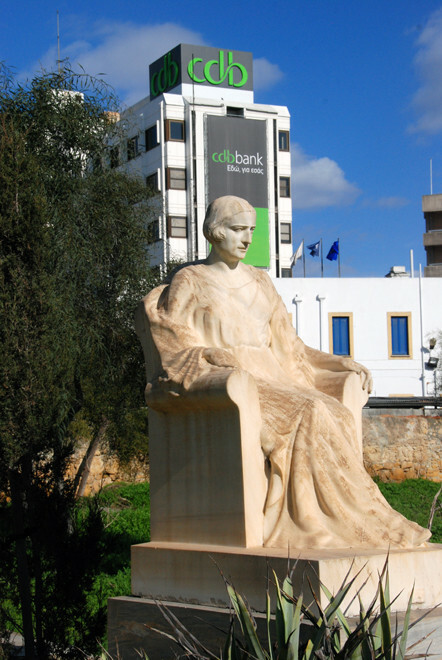 Marble sculpture of seated woman in the grounds of Agios Spyridon Church, Nicosia (with CDB Bnk in background), 2011. 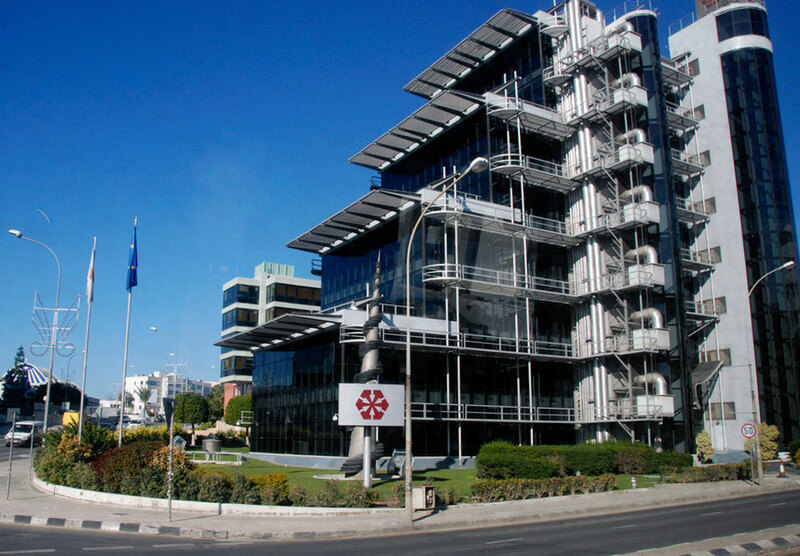 The ill-fated old headquarters of Laiki/Cyprus Popular Bank shut down in the economic crisis and EU/ECB/IMF bailout of Cyprus in 2013. 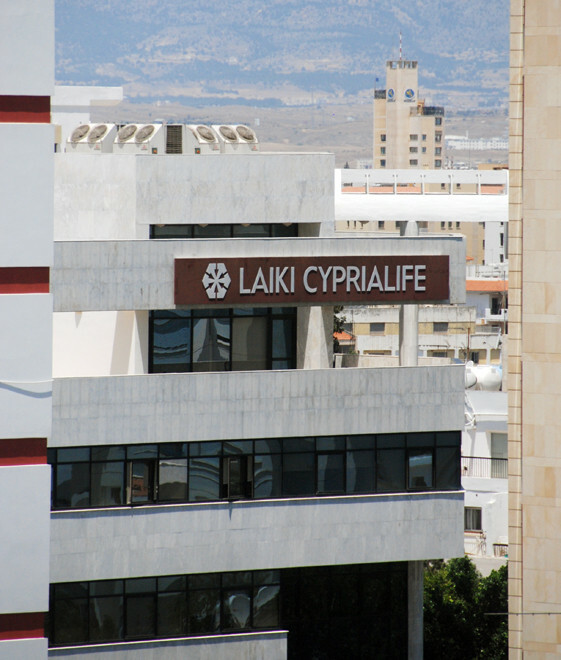 Laiki Cypria Life Insurance offices, Nicosia. 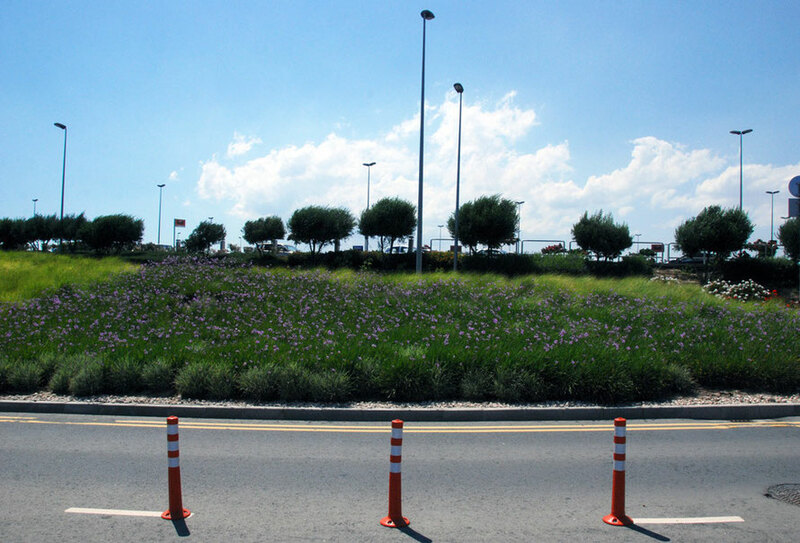 Near to Potocaro Bastion, Nicosia. 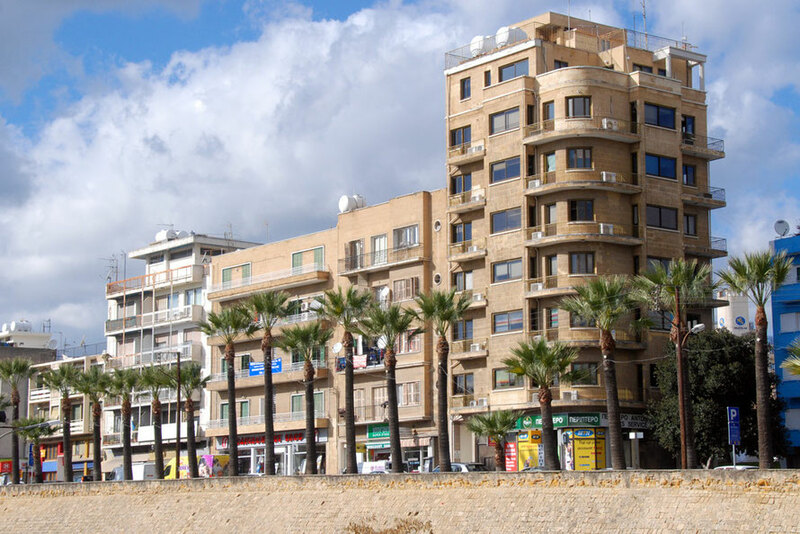 New housing to the west of Nicosia at Mammari. 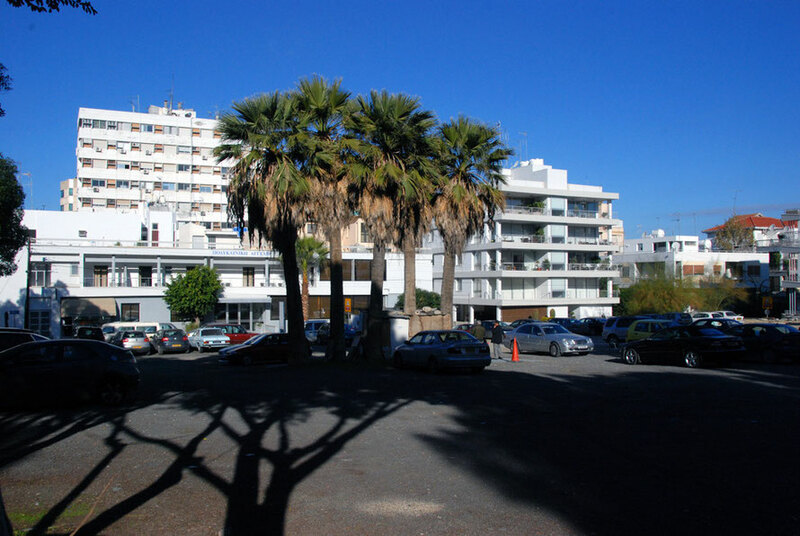 Older offices and flat with palm trees of Makarios Avenue, Nicosia. 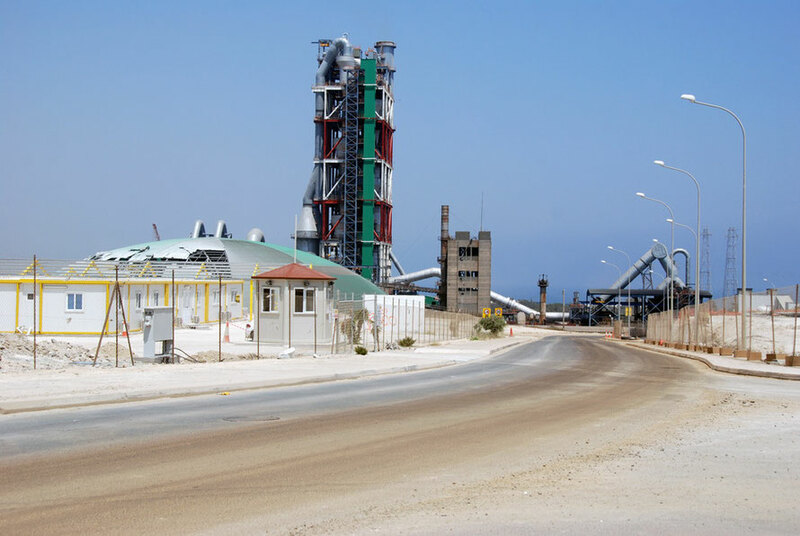 New cement plant near Vasilikos. 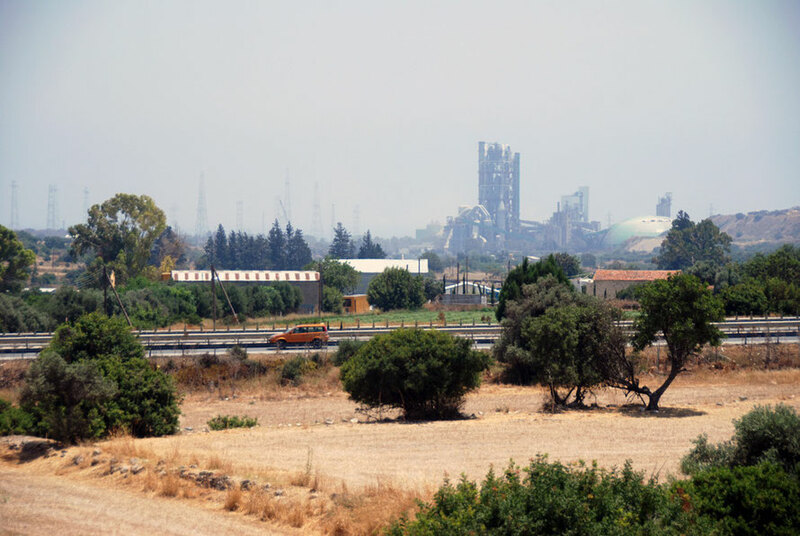 Vasilikos power station - scene of the massive explosion of stored armaments in 2011. 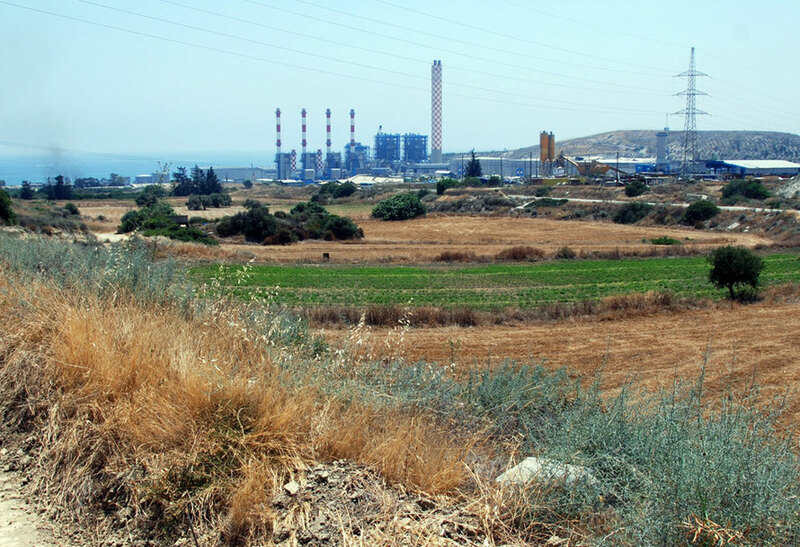 Note banks of deisel generators and exhaust pipes at right middle put in place when the power station was severely damaged. 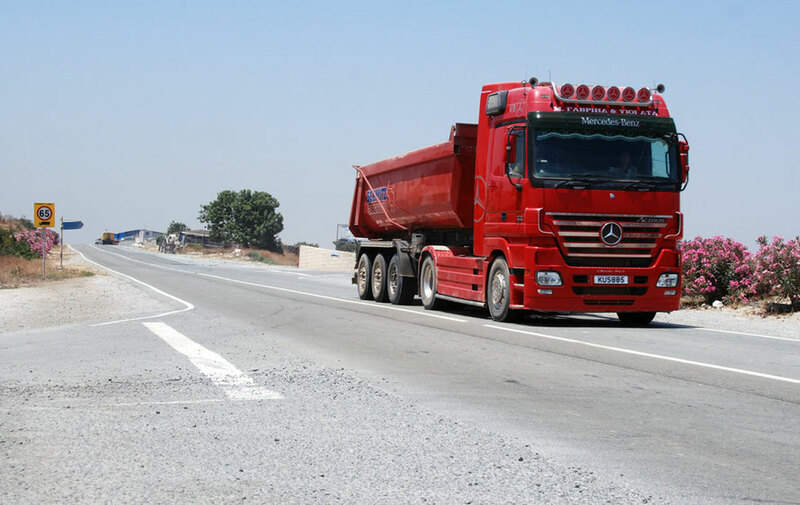 Truck rushing limestone to the cement works at Vasilikos. 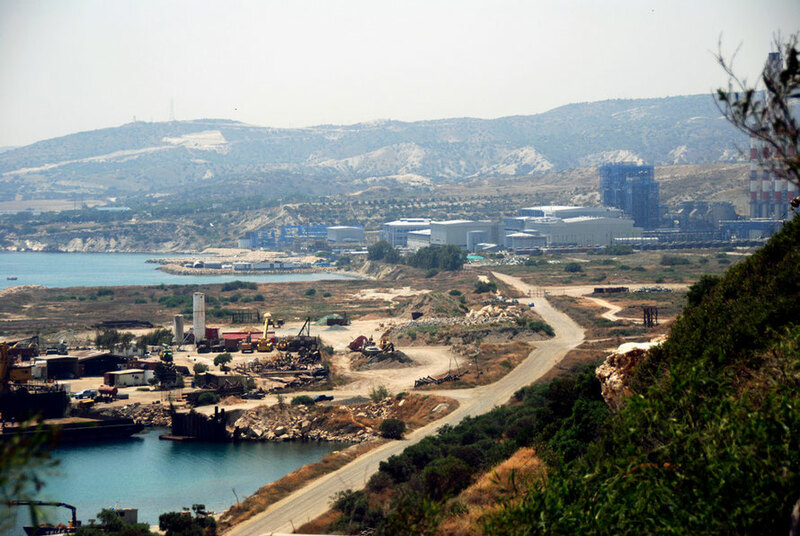 Cement works at Vasilikos fuelling the inexorable construction boom. 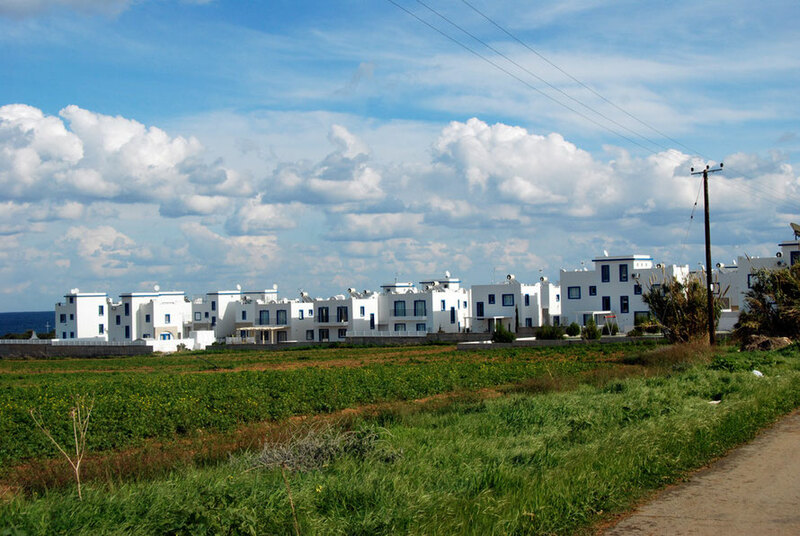 Villa development opposite Liopetri Creek on the way to Agios Napa. 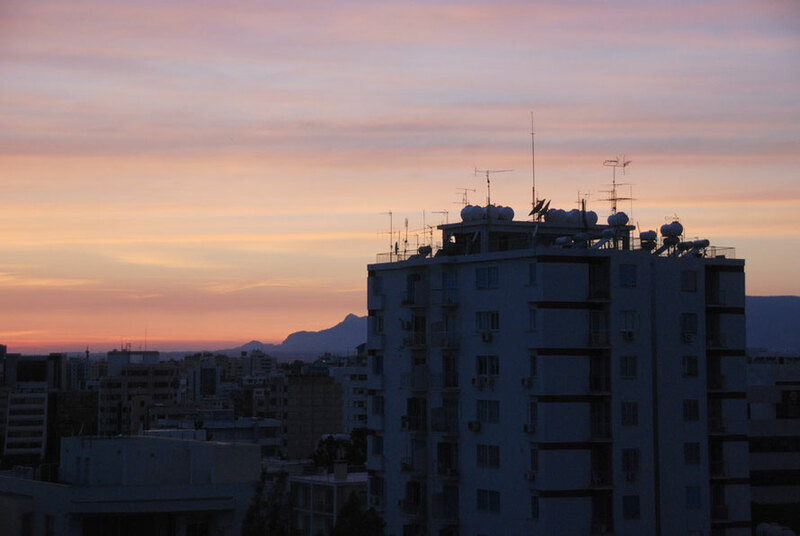 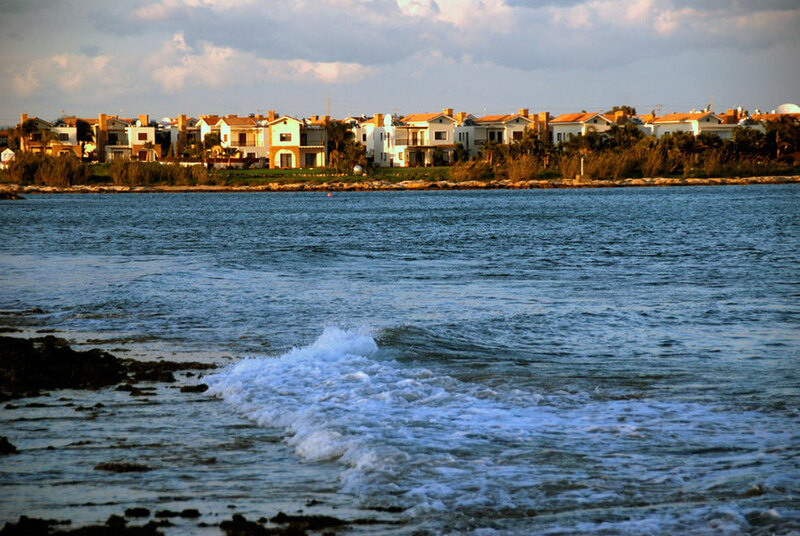 The ever expading suburbs of Limassol in evening light. 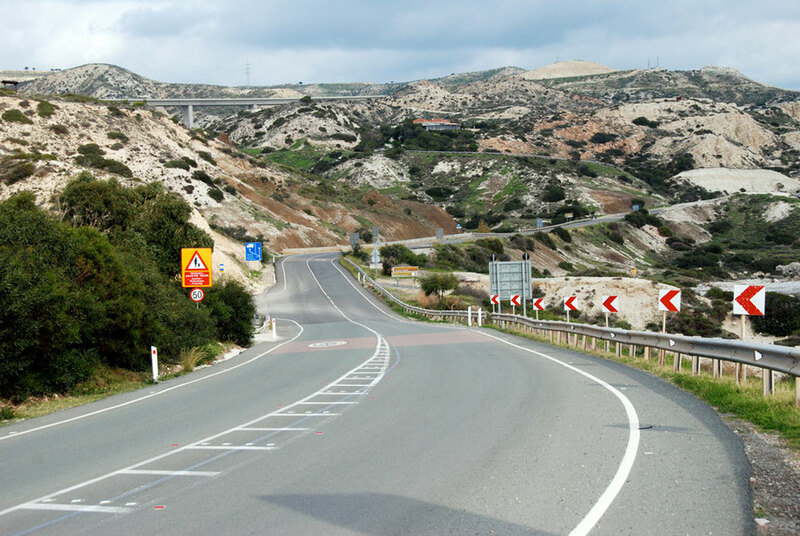 Old and the new: old coast road from Paphos to Limassol and motorway above near Petra tio Romiou. 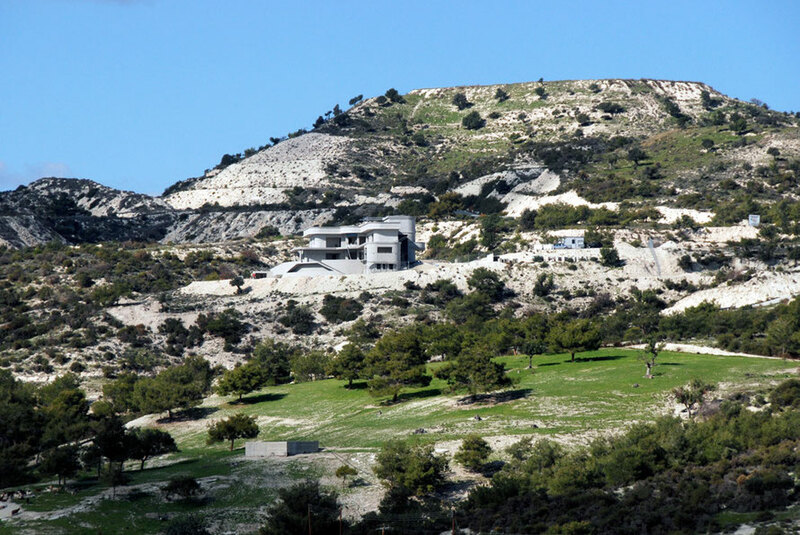 Villa development above Khirokitia village. 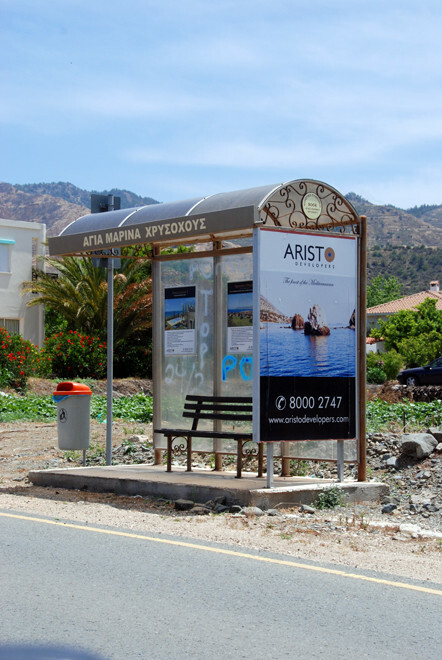 Sign for the ubiquitous Aristo Developers on the road between Polis and Pomos. 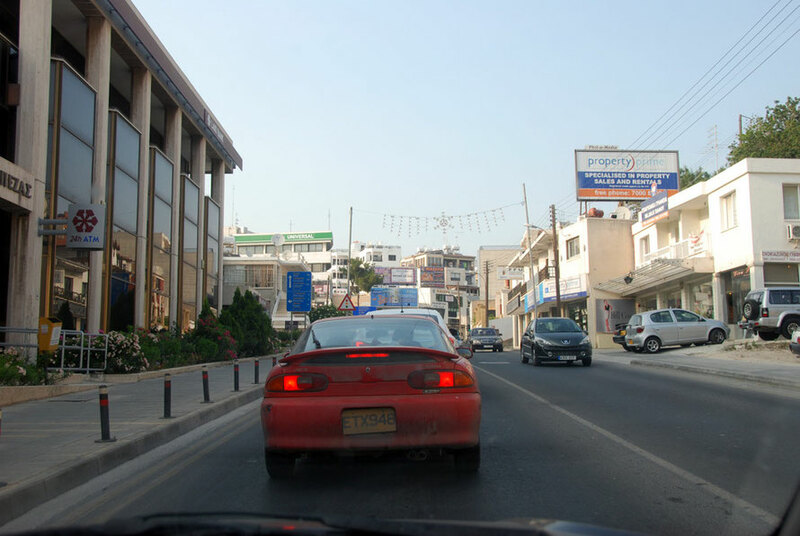 In 2014 Theodoros Aristodemou, chief executive of Aristo and former chairman of Cyprus' largest bank, was arrested on conspiracy and fraud charges. 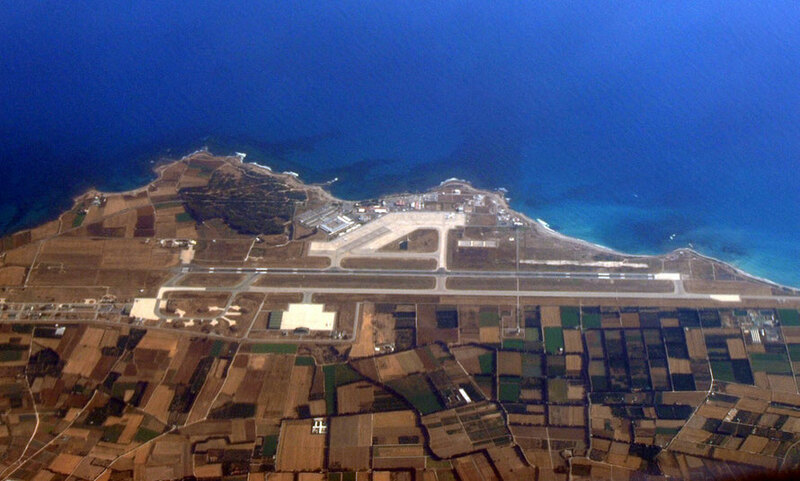 Paphos airport from the air. 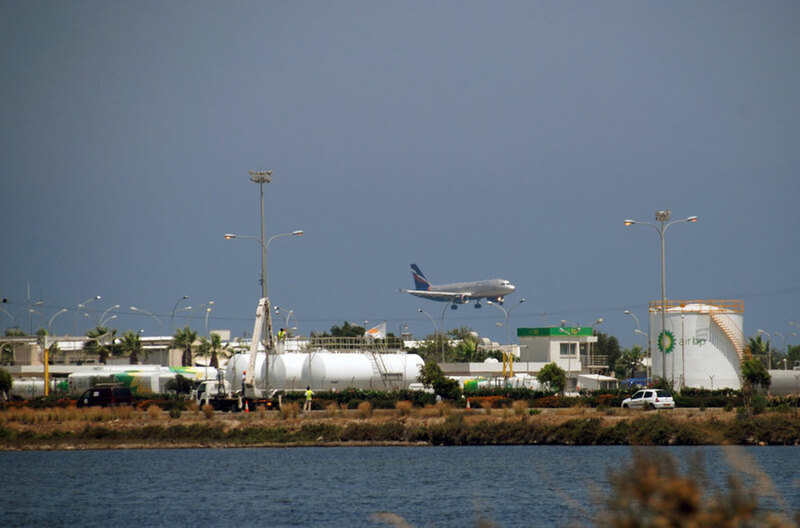 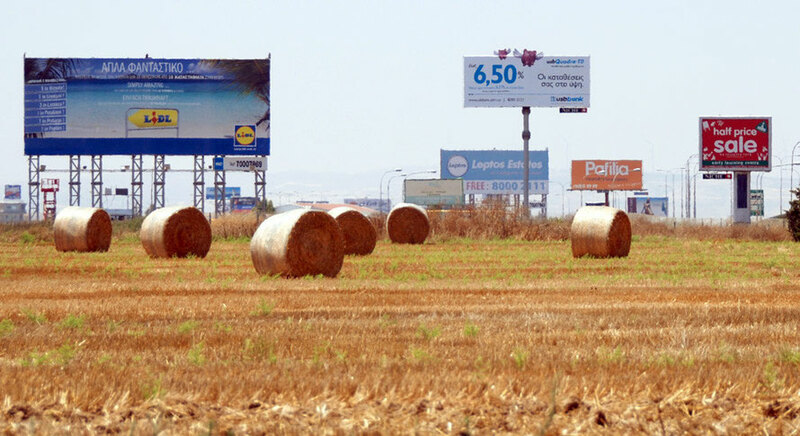 Larnaca airport, salt lake and fuel depot. 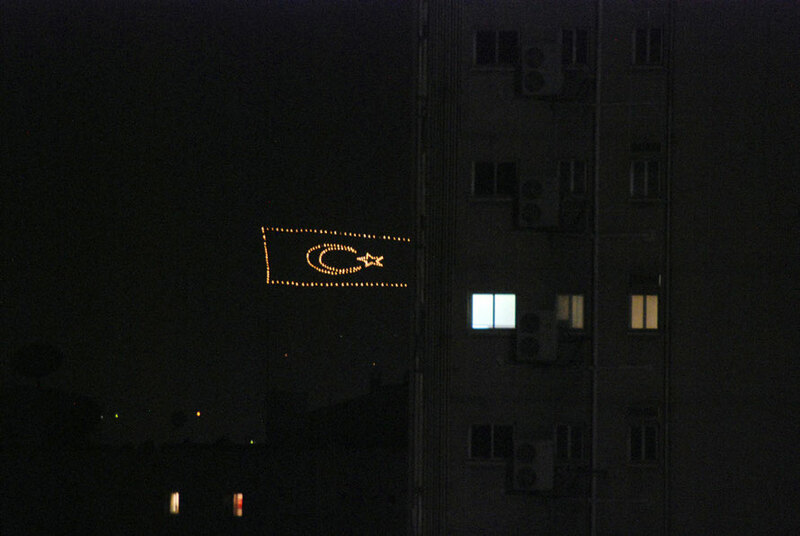 The incessantly blinking lights of the de facto Turkish Republic of North Cyprus flag beyond the Green Line north of Nicosia.